On-line application on Kolkata Port Trust, West Bengal Recruitment Job Alert 2015 Executive Engineer, Senior Medical Officer & Various Posts will be starts on 11th November, 2015 you have to successfully submit your application for before 21st December, 2015. Qualification : - For Executive Engineer : Graduation in Mechanical/ Electrical/Electronics and Communication/Civil, Engineering from a recognized Institution/university or its equivalent. For Senior Medical Officer : MBBS degree from a recognised university/institute. For Senior Medical Officer : Maximum35 Year. Selection Process : - To know about the selection process aspirants must read the ADvt. carefully. 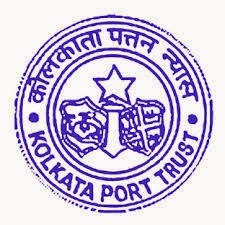 How To Apply : - Interested candidates may Apply in plain paper along with Bio-data, all the relevant documents with two recent passport size photographs send to The Secretary, Kolkata Port Trust, 15, Strand Road, Kolkata-700001 on or before 21.12.2015.